Here is the book--by the recognized architects of the Balanced Scorecard--that shows how managers can use this revolutionary tool to mobilize their people to fulfill the company's mission.More than just a measurement system, the Balanced Scorecard is a management system that can channel the energies, abilities, and specific knowledge held by people throughout the organization toward achieving long-term strategic goals. 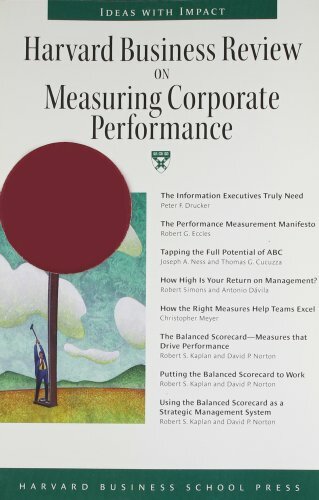 Kaplan and Norton demonstrate how senior executives in industries such as banking, oil, insurance, and retailing are using the Balanced Scorecard both to guide current performance and to target future performance.They show how to use measures in four categories-financial performance, customer knowledge, internal business processes, and learning and growth-to align individual, organizational, and cross-departmental initiatives and to identify entirely new processes for meeting customer and shareholder objectives. The authors also reveal how to use the Balanced Scorecard as a robust learning system for testing, gaining feedback on, and updating the organization's strategy.Finally, they walk through the steps that managers in any company can use to build their own Balanced Scorecard. The Balanced Scorecard provides the management system for companies to invest in the long term-in customers, in employees, in new product development, and in systems-rather than managing the bottom line to pump up short-term earnings.It will change the way you measure and manage your business. The Balanced Scorecard looks at the important issues of alignment, coordination, and effective implementation. Most business thinkers like to start with the big picture, and end there. As a result, most ideas for going in a new direction are quickly diluted by misunderstanding, falling back on old habits, and lethargy. Since Peter Drucker first popularized the idea of business strategy, there have been vastly more strategies conceived than there have been strategies successfully implemented as a result. Much attention has been paid to devising better strategies in the last four decades, and little to implementing strategies. The big pay-off is in the implementation, and The Balanced Scorecard is one of handful of books that provide important and valuable guidance to explain what needs to be done to successfully execute strategy. You must have more measures, and different measures than the accounting system provides. You also need to link measures and compensation to the key tasks that each person must perform. This book is simply the Rosetta Stone of communicating and managing strategy. The Balanced Scorecard is the beginning of the practical period of maturity in the field of business strategy. Read this book today to enjoy much more prosperity! I also recommend that you read The Fifth Discipline, The Fifth Discipline Handbook, and The Dance of Change to understand more about the context in which you are trying to make positive change. These four books are excellent companions for each other. This book is a seminal work that has significantly affected the way businesses frame and execute strategy. In a nutshell, the authors show you how to view your business strategy, drivers and key indicators in four dimensions - financial, external (customer satisfaction), internal (processes) and learning/growth. They then show you how to link these to your strategies and develop and execute plan for transforming them into action and results. The good and the bad. First, the good - before Kaplan and Norton published this book there was no standardized method for framing and measuring what's important. This book rectifies that. Also, the ideas first introduced have been embraced and extended to the point that a book search of similar titles returns over 2600 hits, and a google search using 'balanced scorecard' as a keyword returns ten time that many. This is a clear indication of how influential this book is and remains eight years after publication. But those are simple statistics. What's important about this book is many of the other resources that have sprang from it assume that you are familiar with the concepts and approach in this book. The bad - the writing style, as noted by others is ponderous. That does not diminish the concepts and approach. It is also showing its age, but only because of the body of work that this book has inspired, which has greatly extended and refined the basic ideas. You will still need to read this book to get the most out of the body of work that is based upon it. Also note that even Kaplan and Norton, the authors, have extended this work into strategy maps and a 'strategy-focused organization' paradigm. Overall this book has - and will continue to - influence thinking. The ideas set forth are still evolving and have been embraced by some of the largest (and smallest) companies on the planet. If you are new to this material I recommend visiting Balanced Scorecard Institute (ASIN B00006CKQ2) for introductory information, and Balanced Scorecard Online (ASIN B00006DBZ5) for more detailed material. If you want to rise to the top in your business and career you need to have a great system for managing results. The management cycle involves defining objectives, assigning responsibilities, developing performance standards, evaluating results, and developing improvements where necessary. results are obtained. The goal is to select measures that best relate to the overall company strategy. As such, each scorecard will be unique. I have used a Balanced Scorecard and highly recommend them to help organize the complex assemblage of organizational objectives into a unitary whole. This fantastic book tells you everything you need to know. Highly recommended! 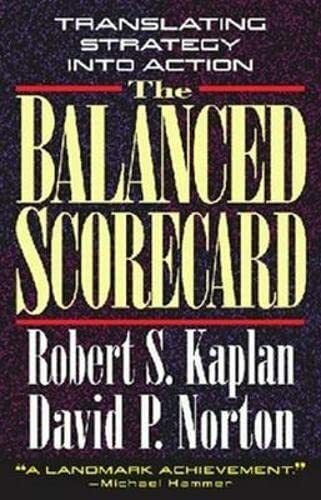 Kaplan and Norton are the visionaries behind the Balanced Scorecard (BSc), and this is their first book on the subject. BSc as Kaplan and Norton conceived of it was focused on measurement, specifically measuring variables that had some linkage to corporate financial results so that the direction of the organization could be determined prior to the occurrence of a bad quarter or two. THE MEASURES OF ANY MANAGEMENT CONCEPT ARE ITS ADOPTION AND ITS STAYING POWER, AND KAPLAN AND NORTON'S BSc IS AN OVERWHELMING SUCCESS. BUT companies that enacted BSc's started to tie them to corporate strategies, making them strategic management tools and not just measurement tools. One of the advancements was to tie define measures that measured the success of strategic intent as defined by specific objectives and goals. Another was to create cause and effect maps of the objectives, called "strategy maps." Measurement is, of course, still an important part of the BSc, but the process of determining what to measure begins higher up the strategic ladder. KAPLAN AND NORTON THEMSELVES CHRONICLE THE GROWTH OF BSc INTO A STRATEGIC MANAGEMENT TOOL IN THEIR SUBSEQUENT WORK. And a good introductory article to the idea of strategy mapping is "Using the Balanced Scorecard as a Strategic Management System", a Harvard Business Review article by Kaplan and Norton that is also available on Amazon. 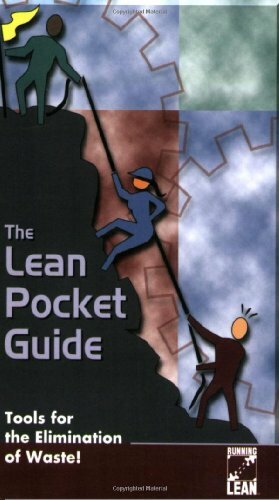 The Lean Pocket Guide is designed for use as a convenient, quick reference as you learn and implement lean manufacturing tools and techniques. It provides valuable insight into the nuances of lean from a team of lean sensi's throughout the world. You can put your finger on any entry or lean concept, term, tool, or technique within a matter of seconds! With the simply, clear illustrations, this is definitely meant for use on the shop floor. A Diagnosis tool made even better! In addition to improvements to the Planning and Control chapter, which was the strength untill now, this 5th edition has significantly expanded the chapters on Strategy, People / Teams, Quality / Continuous Improvement, and Product Development, making it a more complete tool. 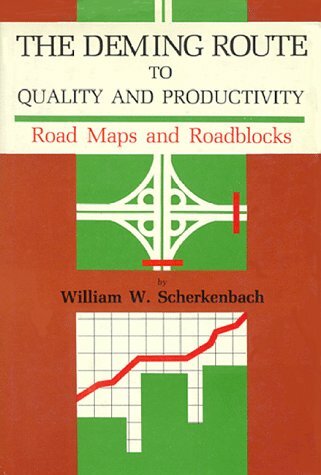 This is by far the first book that dealt with process improvement and change from all angles. This book provides examples that will help the novice in preparing and implementing change. Packed with examples and worksheets to guide the reader thru the whole process. However, since it was written in 1995, this book does not cover prevailing technologies but is still useful in understanding the foundations for change. If you are looking to implement business process change/improvement, read this book in conjunction with a more recent book by Paul Harmon "Business Process Change" who happens to be a student of Mr. Rummler. 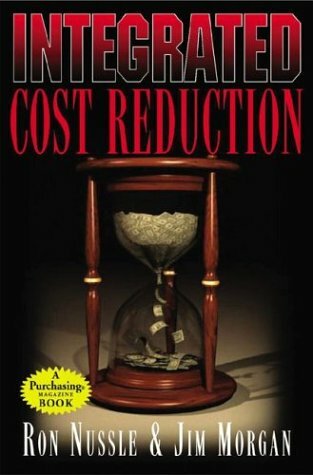 Paul Harmon's book cover such topics as CMM and Six Sigma when implementing process change. First the book provides a clear roadmap for process change. It defines the individual steps necessary as well as the interconnection points between the organization, its processes, measurements and other elements. While you may not agree with all of the points -- the completeness will give you more than enough ideas to be of value. Second, the book is well populated with detailed graphical examples that illustrate the concepts and thier intent. The level of detail, the practicality and the realism of the examples allows you to study the issue, understand it and find parallels in your own business. Lastly, the book is complete it covers issues related to process design, implementation, process owners, measurement and management. Many people write whole books on one of these aspects however Rummler and Brache have covered them all in a focused and informative text. I highly recommend this book for anyone looking to implement process management, six sigma, or other related changes. The book provides the details often left out of texts associated with six sigma. It provides a completeness often missing from process management and design texts. The only drawback to the book is that its writing style is a bit dry and the book, written in 1995 does not cover many of the process innovations enabled through the Internet. Otherwise this book is a real winner and well worth your attention. 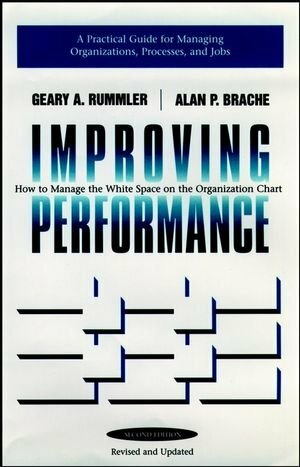 Long before James Champy made "Reengineering" a buzz-word, then a management fad, then finally a tired cliche, Rummler & Brache broke the code on how businesses can do work better. Instead of looking at the jobs people do, they focused their attention on the work being done, and how those work objects meander through different departments and functional organizations in most companies. What Rummler & Brache might have lacked in marketing prowess, they more than made up for in insight. "Improving Performance" is short on jargon and the evangelical fervor many other works on Reengineering, Business Process Management, and Third Wave(or fourth wave or whatever wave we're up to) seem to revel in. It is focused and pragmatic, giving both the theory of process management and how to apply it. Very basic and very useful diagrams help illustrate their concepts throughout, making this a field guide for anyone involved in process management in the real world, be they consultants or internal change agents. After 15 years in the space, it's still one of the best I've found. Could not recommend more highly. Not very well written, but the concepts come across nicely and the reader is able to put the book down and start where they left off a day or two later. Slow reading, but quite interesting stuff. 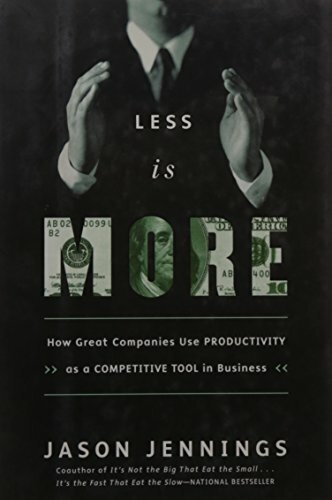 Less is More is jam packed with More practical, well researched business sense and Less bureaucratic Bull-S...than any contemporary academic business literature. Jason Jennings, in his second book, will arguably become a more popular and influential business author in the 21st century than Dale Carnegie was in past decades. Less is More outlines five key components of gaining and sustaining a competitive advantage through superior productivity. The book investigates some well known global organizations, and some lesser visible companies who have successfully negotiated the intensely competitive marketplace. Each business has a remarkably similar approach to achieving their incredible feats, it is this formula that Jennings details. From a simple Big Objective, to some shattering truths about the digital and technological revolutions many businesses seem eager to embrace. The myths and non-negotiable musts of streamlining an organization are discussed, reducing behemoth bureaucracies, systemization, Kaizen, and a tactic often forgotten, telling the truth. This refreshing insight is an exciting read, and motivates managers to embrace a better way yielding proven productivity gains. If you're stuck in an anachronistic organization, who think they are moving forward by going backwards, or with an out of touch boss, there is hope! The final chapter details the traits required to lead a highly productive enterprise, and concludes with four practical tips on the choices you can now make to move your career ahead. Jason Jennings has written an essential, five star read,for the business leaders of today. It's compulsory for 2003! This book is an excellent example of the types of practices and procedures almost any company can follow to be successful both financially and ethically. Jennings cites numerous companies who have carved out success while still remaining true to their customers, their employees and their values. Not surprisingly, few of these companies are ones that so called pundits regularly review. As the other reviews have noted, these companies are very successful financially, but they get there by asking the really pertinent business questions, and not by hiding behind an air of executive invulnerability. The leaders are real leaders, more focused on growing the company, serving customers, and doing right by employees. What vividly differentiates these companies from the "name brands," is that in the "name" companies, executives are more concerned with their own compensation, preserving their own existence, and with profits at all costs, than long term success. The questions you should ask yourself after reading this book are, "Where have all the leaders gone?" and "Why don't all companies follow many of Jennings' researched best practices? After that, I would run, not walk, to one of these companies and see if you can start at the bottom and learn what it's like to work in a real company. How do you define Productive? This little book provides a different prospective on productivity than one typically learns in MBA school or management grooming programs. Without going through the diatribes that many other reviews have opted to write (all very good mind you), his book can be summarized in one statement: "cut out the fat (everywhere) in order to become efficient". Jennings spends time cutting the fat with regard to the management team, communications, organizational structure, decision making, internal processes, analytics/measurements, education/training, and finance (to name but a few). His recipe is to build a vision, get people on board with that vision, document processes, improve them, focus on the customer, and count those things which matter. Definitely not rocket science on the surface, but his analysis of the 10 most productive companies really shows how many of them implemented unorthodox approaches towards recreating their organization. Further, he provides commonalities between these seemingly unrelated companies (different industries, sizes, customer focuses, etc) which he believes elevates these companies above the rest. According to the financial analysis he provides in the second edition, it is hard to dispute his findings. Time will tell if his methodologies is the silver bullet to eliminate waste and drive MEANINGFUL productivity. Jennings reads his book on the unabridged audiocassette. He definitely has an announcers voice and is easy to understand. I found his inflections sort of larger-than-life/not natural at first but I quickly got acclimated, not a big issue. The book is fairly long and repeats many important themes like the need for healthy culture, process and vision in many different ways. It might be able to be shorter. The research method Jennings and his team utilized for the book is the driver that makes the book so interesting. By carrying out detailed analysis to locate several under-the-radar, but incredibly productive companies, they managed to isolate some of the common threads for corporate success without being sucked into the vortex of large mega-companies whose stories are already well known and perhaps over-documented. The companies chosen represent a fairly good cross-section of international business, but I would have like to have seen at least one very high tech computer vendor make the cut. There are probably good reasons why there wasn't one, but there was no mention of this if my memory serves... In addition to the excellent research on the case companies, there are also some good insights into legendary companies like Ford and Toyota briefly provided for specific instances. The significant flaw in this book is that when it is taken as a whole, it amounts to not much more than a very interesting, carefully crafted, indictment of most executive management in corporations today. The executives profiled all really know the nuts and bolts of their business and have been with them long enough to really cast Deming-like vision into reality. That plays well for well a while, but with 6 tapes, I'd like something more practical I can start at work tomorrow since I'm not an executive and probably never will be. The book does try to service this need for mid-managers like me towards the end of the book by encouraging that we apply at least some of the key principles to some degree in the hope of making a grass roots difference at least within our department. Actually, the department I work with abides by many of the principles given and they do help. But that doesn't stop large-scale lay-offs, frozen budgets and other realities that most managers really have to live with. The book's untitled theme is that strong success only flows from the top down. In the highly successful cases analyzed, each has exceptional Level 5 leaders (to use Jim Collins terminology). What if where I work is like 90% of all places where the executives turn-over a lot, are forced to optimize all decisions for short-term profit on Wall Street and de-rail some good plans due to economic realities? The book's primary advice to me would seem to be: go to work somewhere else, find that 10% club. Maybe true, but not particularly helpful today. Even for those top-level executives whom this book will reach, it is likely to fall on deaf ears. Not because executives really are the "wing tip shoe wearers, peacock strutting" jerks Jennings occasionally alludes to. No, it is Jennings own inflammatory and derisive language that will tend to make executives shut the book. I wanted to lend my tapes to the president of my company because of the good macro-productivity ideas, but decided I wouldn't because he might take it as my endorsement of this class-warfare attitude. There are other sources out there for most of the information here on egalitarian culture, continuous process improvement, open-book management, profit sharing incentives, etc. I'd be interested to know the average working hours of the employees in the case study companies as a cultural factor but I don't recall this being mentioned. In any case, the productivity measures would factor this in, just a cultural question I have about these companies. Much of what Jennings says is true and interesting. There are some things that can be learned here, but much of it comes down to re-invent almost everything, starting with your executives. Who can implement that? Again, it is the detailed case study research that puts compelling value into this book. "Secrets of Efficient and Productive Companies"
Consultant and author Jason Jennings had always been fascinated with two vital aspects of successful enterprises, efficiency and productivity. In other words, getting more done with the same or less. Jennings states in the introduction to his book, Less is More: How Great Companies Use Productivity As A Competitive Tool In Business, "why wasn't there a book about how the most efficient and productive companies got that way, with lessons that anyone or any company could follow?" To fill the gap Jennings assembled a team of researchers, some of whom were recent graduates of Princeton, Stanford and Berkley, to search all over the world for the most productive and efficient companies. The primary objective was to determine what made these companies tick and why were they successful. The culmination of the research was the publishing of his book describing a mix of companies such as a European airline, a chain of New Zealand and Australian discount stores, a steel maker, a Swedish and Danish furniture retailer, a financial institution, a manufacturing company and a trucking company. The criteria for selecting the companies included in the book was broken down into revenue per employee, return on equity and return on assets, operating income per employee, has the company been overexposed, and might this company pull an Enron. Five principal sections make up the book: Focus, Streamline, Digitize, Motivate, and Embody. Within each section the author explains the component parts that provide the reader with the lessons that will prove less is more. According to the Jennings business is a game and in order to win you must understand how to play the game. Concepts such as understanding the big objective, streamlining, truthfulness, destroying bureaucracy, avoiding layoffs, productivity, leanness, compensation, and financing, are all analysed in simple language. The end of the book summarizes all of the lessons presented with a listing of twelve rules that will show you the way to building a successful business organization. Although much of what Jennings presents in his book has been rehashed in a variety of ways in other business books, nonetheless, it does serve as a useful primer for anyone who does not want to be bogged down with charts, tables, and long-winded self-praise narratives. "Long-term commitment to new learning and new philosophy is required of any management that seeks transformation. The timid and the fainthearted, and the people that expect quick results, are doomed to disappointment." According to W. Edwards Deming, American companies require nothing less than a transformation of management style and of governmental relations with industry. 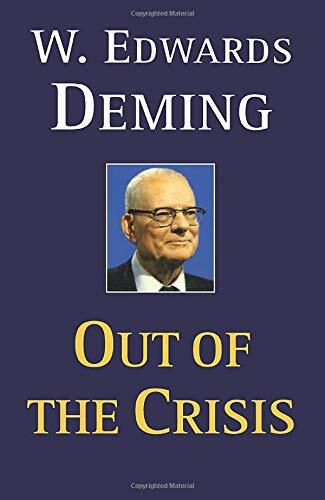 In Out of the Crisis, originally published in 1986, Deming offers a theory of management based on his famous 14 Points for Management. Management's failure to plan for the future, he claims, brings about loss of market, which brings about loss of jobs. Management must be judged not only by the quarterly dividend, but by innovative plans to stay in business, protect investment, ensure future dividends, and provide more jobs through improved product and service. In simple, direct language, he explains the principles of management transformation and how to apply them. When I first saw this book a few years ago at a friend's house I never imagined that I would enjoy reading it. However, somehow my opinion changed recently while I was looking for a good book about manufacturing quality control. This book agrees with all that I believed to be true based on my limited manufacturing experience--the plant worker is very rarely to blame for quality problems, rather problems are usually the result of system issues. I thoroughly enjoyed reading this book and couldn't put it down. It is a great overview of quality control methods and control charts. I also have Mary Walton's "The Deming Management Method", but I would strongly recommend to just read Deming's masterpiece. Having "seen the light" as spoken by Deming, I highly recommend this book and Deming's "The New Economics" to anybody interested in not only quality and business, but anybody working. If you aren't in a position having the power to change your workplace, be prepared to bite your lip when conventional management is used. When you look at Six Sigma you can see much of Dr. Demings work and thoughts being used, thus one persons short review that Dr. Deming is the real father of Six Sigma. Six Sigma brings more of the cost savings aspect to process improvement which appeals to conventional business. While people can look at Japan and say they are down now and Dr. Deming is wrong, there are plenty of Japanese companies that follow Dr. Deming's teachings still that are clobbering the competition. Toyota, the 2nd largest auto manufacturer in the world now (yes, ahead of Ford by most accounts) uses his teachings. Don't just read the words, understand what is being said and learn from Dr. Deming. I first became aware of Dr. Deming through the Deming Management method. He affected so much change in Japan and was not known here in the USA. The chief reason for his lack of success here was probably that eliminating fear, one of his 14 points, has never really been a management method of American Management. Today people fear losing jobs, his method of quality was to lead to more jobs and more quality utilizing American pride in work. I do think his method had an impact, look at companies like Xerox, and others who continually improved, yet, our economy is so short sighted, we never seem to get past the view of everything this Quarter...we need to have a broader perspective. I find my coworkers in America to be very hard working people who have pride in what they do and accomplish. If only we would remember the red beads, we would get quality if we provide quality material. Demings last seminar was held in Pasadena, I wanted to go to that, yet I hesitated and well, had to learn from a friend second hand. This is a must buy for anyone who will manage people, engineers and corporations. It's a shame Deming was only listened to after American Industry humiliated itself in the international markets. It's a bigger shame that they forget their mistakes after realizing them for a while. Deming is unquestionably one of the most original and brilliant thinkers of last century. This book WILL cause you to change your thinking about your job. You don't have to be a statistician to understand this book either, b/c the crux of it has to do with a philosophy, and a very intelligent one at that, much more than math. I liked this book so much, that I purchased a rather expensive autorgraphed version on an auction site, becuase it's really a masterpiece. This is a classic in the world of quality assurance. It is fair to call Deming the father, godfather, grandfather and preacher of the quality movement. This book, written in 1986 after he achieved international fame for helping improve quality in Japan, captures the spirit and ideas that spawned a revolution. 1) Creating metrics based approaches to management, without falling into a quota system. 2) Differentiating between problems caused by the system and problems outside of the system. 3) Focusing on both doing things correctly, and identifying the right tasks to approach. 4) Introducing a Plan, Do, Check, Act cycle of continuous improvement. So are there any knocks? 1) You're left with many imperatives, but sometimes without positive prescriptions. For example: If you don't do annual performance reviews, what do you replace it with to determine who gets promoted? 2) The book can be dry and hard to follow. Sometimes it is written as notes pieced together. 3) Many of the companies that Deming held up as models have fallen on tougher times. It seems that today Quality alone is not enough. If you have read The Essential Drucker, Balanced scorecard etc. , the book essentially has the same information repeated under a different title. Recommend Essential Drucker, Balanced Score card which is more comprehensive than this title. This collection of eight articles from the HBR is a must IF AND ONLY IF you want the only highlights of some of the new management tools and theories out there. If you've ever wondered what Activity-Based Costing (ABC) is or what Kaplan's "Balanced Scorecard" is all about, this may be just the introductory text for you. I mention these two tools first since 2 out of 8 articles deal with ABC, either in whole or in part, while another 3 deal specifically with the balanced scorecard. So, if you've got ABC and the balanced scorecard already firmly laid out in your head, this may be a bit redundant. The remaining three articles are still worth a quick read though. I found in one article, "How the Right Measures Help Teams Excel," ideas that I hadn't seen anywhere else (for example, the team "dashboard"). And, the "How High is Your Return on Management?" article might give managers a moment of reflection on whether or not they have a good ROM and what they can do to improve it. As I stated before, much of this is merely highlights though. Do not expect to be able to use this book as a primary source to implement any of the measures. It's a tease that gets you excited (at least it did me), but doesn't provide much of a game plan for bringing it all about. Still, if what you want is a quick overview and a few case studies where these principles and tools have been applied, by all means, read this. It's worth at least that much. THIS BOOK MEASURES UP TO THE BEST ON THIS SUBJECT. Looking for some informative, original and clear thinking about measuring performance? This book is a great choice! This is a collection of eight outstanding articles selected from past editions of the HBR. The articles cover such subjects as activity-based costing, the use of nonfinancial criteria, and tools executives require to generate the information needed. Each article begins with an executive summary which, for the fast-forward crowd, is a big plus. So many books are merely ONE GOOD ARTICLE embedded in a thicket of verbiage. Chopping away through such a jungle of verbosity for the gist-of-it-all often proves tedious and disappointing. (Blessed are the laconic!) This book, on the other hand, just serves up a bunch of 'gists' -the pure meat and potatoes of ideas. Happily, the HBSP has published several other collections of this sort on such topics as knowledge management, change, and strategies for growth. Each of these is collection of first-rate 'gists'. Reviewed by Gerry Stern, founder, Stern & Associates, author of Stern's Sourcefinder The Master Directory to HR and Business Management Information & Resources, Stern's CyberSpace SourceFinder, and the Compensation and Benefits SourceFinder. This is a vey useful books as a reprints of HBR and catagorized on the corporate reviews of companies, with big part on the famous balanced scoeboard, and a nice section on team performance. But this is not suiatble for small companies review system which i m looking for. If what you r looking for is a way of seeing hhow company performs and you r in big corporation, this is an exellent books as other HBR reprints books that now availabe at many formats... definitely 5 stars. ". . . competition, we see now, is destructive. It would be better if everyone would work together as a system, with the aim for everybody to win. What we need is cooperation and transformation to a new style of management." In this book W. Edwards Deming details the system of transformation that underlies the 14 Points for Management presented in Out of the Crisis. The system of profound knowledge, as it is called, consists of four parts: appreciation for a system, knowledge about variation, theory of knowledge, and psychology. Describing prevailing management style as a prison, Deming shows how a style based on cooperation rather than competition can help people develop joy in work and learning at the same time that it brings about long-term success in the market. Indicative of Deming's philosophy is his advice to abolish performance reviews on the job and grades in school. Critique W. Edwards Deming's work at your peril. After all, he probably set whatever standard you're using. This volume - revised by the author before his death in 1993 and partially based on his 1950s work with the Japanese - may strike the contemporary reader as a curious mixture of seminal process thinking and idiosyncratic ruminations on education. Portions read like an artifact of the early 1990s, but in this regard, however, his volume offers a unique perspective on a turning point in American economic history: the shift to the knowledge-based economy. We [...] recommend Deming's volume to any serious student of management thought, and all human resources professionals should familiarize themselves with his work, which set the foundations for many of the transformations now underway in the corporate world. I have recommended this book in my previous review of "Out of the Crisis" to managers who are new to Deming's ideas, being a manual that will be easier and more effective to comprehend and follow. 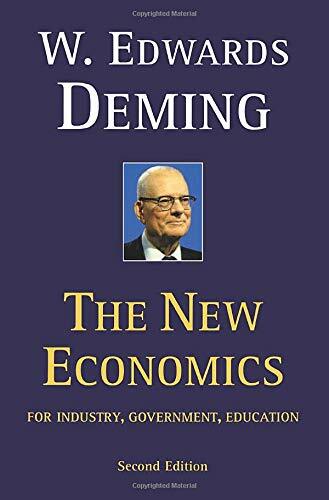 At the final stages of his life, Deming (1900-1993) wrote this epilogue of his career with an honest attitude and sincerity that I, along with many of my colleagues, admire. The frankness of his opinions regarding the (lack of) essentially fundamental leadership traits in today's modern global societies, in all vital areas at all organisational strata, are both valid and brave; the information voiced is made possible only through his previous experiences and status in the field. If all managerial leaders of this world were to listen, be able to understand and follow Deming's ideas and underlying philosophies, societies will be enhanced beyond recognition in many aspects. "Knowledge is theory. We should be thankful if action of management is based on theory. Knowledge has temporal spread. Information is not knowledge. The world is drowning in information but is slow in acquisition of knowledge. There is no substitute for knowledge." This is my humble tribute to a great man. An excellent book on systems and whole systems thinking.
" We are witnessing a convergence among advanced management concepts and practices.Performance management is a means to pull it all together, to understand the strengths and limitations of each management practice and leverage it for competitive advantage. Cokins book walks us through all this in a manner that makes something confusing much less so.
" There is no one right answer for any situation.The answer lies in a balance of concepts and the integration of them. Performance Management is the glue that holds them all together.
" This book helps the reader understand the breadth of PM.Its not just about measuring!" "Gary Cokins has articulated the 411 of performance management.His combination of personal anecdotes with fundamental cost and performance management theories provides business leaders at all levels, in any industry or profession, a solid resource for practicing their work. 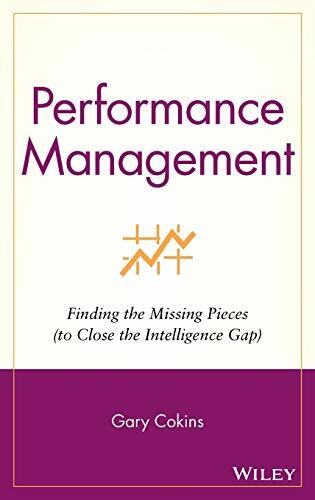 "This book is not only an invaluable resource for those new to performance management but provides guidance, wisdom, support, and insight to all industry leaders and managers. Cokins has organized and simplified the many complex performance management theories, associated tools, and infrastructure for the reader. "Buy it, read it, and give it to your colleagues then celebrate your successes!" 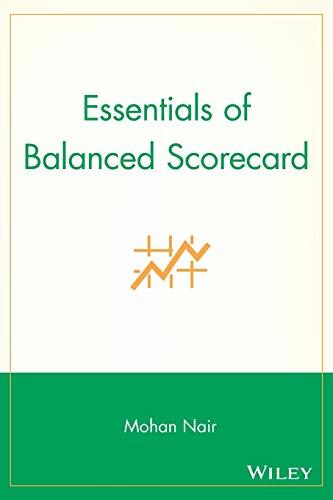 From TQM to Balanced Score Cards - this is the book that provides a practical synthesis. Focus on cause and effect relationships and away from abstractions. Must have book. If execution is the goal these days, then this book brings an interesting perspective -- it's both big picture AND 'how to do it' at the same time. Cokins does a great job of putting the execution imperative into the larger context of "why." A good read for a reminder of basic performance management tools and for exploring how they work best in the context of today's tough business environment. This not a common book about Performance Management. It integrates several methodologies like Activity Based Management, Balanced Score carding, Value Management and Customer Profitability Management. Why are a select few service firms better at what they do -- year in and year out -- than their competitors? For most senior managers, the profusion of anecdotal "service excellence" books fails to address this key question. In this pathbreaking book, world-renowned Harvard Business School service firm experts James L. Heskett, W. Earl Sasser, Jr. and Leonard A. Schlesinger reveal that leading companies stay on top by managing the service profit chain.Based on five years of painstaking research, the authors show how managers at American Express, Southwest Airlines, Banc One, Waste Management, USAA, MBNA, Intuit, British Airways, Taco Bell, Fairfield Inns, Ritz-Carlton Hotel, and the Merry Maids subsidiary of ServiceMaster employ a quantifiable set of relationships that directly links profit and growth to not only customer loyalty and satisfaction, but to employee loyalty, satisfaction, and productivity. The strongest relationships the authors discovered are those between (1) profit and customer loyalty; (2) employee loyalty and customer loyalty; and (3) employee satisfaction and customer satisfaction. Moreover, these relationships are mutually reinforcing; that is, satisfied customers contribute to employee satisfaction and vice versa. Here, finally, is the foundation for a powerful strategic service vision, a model on which any manager can build more focused operations and marketing capabilities. For example, the authors demonstrate how, in Banc One's operating divisions, a direct relationship between customer loyalty measured by the "depth" of a relationship, the number of banking services a customer utilizes, and profitability led the bank to encourage existing customers to further extend the bank services they use. Taco Bell has found that their stores in the top quadrant of customer satisfaction ratings outperform their other stores on all measures. At American Express Travel Services, offices that ticket quickly and accurately are more profitable than those which don't. With hundreds of examples like these, the authors show how to manage the customer-employee "satisfaction mirror" and the customer value equation to achieve a "customer's eye view" of goods and services. They describe how companies in any service industry can (1) measure service profit chain relationships across operating units; (2) communicate the resulting self-appraisal; (3) develop a "balanced scorecard" of performance; (4) develop a recognitions and rewards system tied to established measures; (5) communicate results company-wide; (6) develop an internal "best practice" information exchange; and (7) improve overall service profit chain performance. In "The Service Profit Chain," the author uses extensive case studies and empirical data to demonstrate how successful companies can achieve customer satisfaction, employee satisfaction, and at the same time, profit and customer growth. Too many companies are focused on the next quarterly earnings release that they don't ever see the lifetime value of their customers. Finally, managers at service industries won't have to keep trading off employee satisfaction in order to achieve customer sastisfaction, and customer satisfaction won't be viewed as a cost factor and a drag on profit growth. Service companies that just don't understand these concepts won't be around for long! As we embark into the e-commerce age, service and technology companies that can quickly apply these concepts within their business models (where there is no direct, face-to-face, contact with the customers) will build a truely competitive advantage. Let's review the successful ecommerce companies in 5 years, and see how many have adopted the principles in "The Service Profit Chain." I think the authors provide a powerful and empirical approach to designing and analyzing a service organization for success. The recommendations are not always intuitive nor easy to implement, but, based on my experience in several industries, I think they are nearly always correct. With a partner, I am starting a own company and have read this book twice very carefully, with lots of notes in the margins, to make sure we do the important things well. This is the type of book that can change an entire corporate vision. The authors are meticulous in presenting their philosophy, and back every word with carefully researched examples from best practice companies. Unlike many of the "quick read" publications that present a superficial view of service (particularly from a marketing perspective), this book is clearly the result of several years work in the field. Every corporate manager who is serious about customer value management needs to take some time out to study the Service Profit Chain. As a former student of Heskett's and Sasser's in the early '70's, I have followed their research in the field of service management. As a student and consulting practioner of "high performance service management" for 18 years, I have over 50 books in my library on "service management" with publication dates going back to 1976. This book provides not only a refined summary of all of the best service management theories, but it breaks new ground as far as making a new service order happen within a business. If you want to truly achieve - distinctive and sustained levels of service, lower total costs, higher everyday margins, and happier, more loyal employees and customers, then this book is for you. It is well written and organized, but it is a process book instead of one with a lot of quick-fix, anecdotal stories that have been unproductively popular for too long. You will have to work intellectually to get through this book, but you will be conceptually re-oriented down the right path towards true competitive advantage. The book does update and improve on the authors' own research and publishing - notably Heskett's book entitled "Service Breakthroughs" (Free Press, 1990). In the "what's new" department, what I liked best was the third part of the book sub-titled "Putting It All Together". To go from a top-down, financial management company to a bottom-up, service excellence performer takes a total transformation starting with the dated, unspoken core assumptions or beliefs of the CEO. The authors illustrate with case studies that big change is necessary for big gain, but it most often will involve some big pain. They do an excellent job, however, of preparing the would be change artist for the transformational bumps ahead. Great Book- Ground Breaking Methodologies!! This book is an amazing new way of management thinking. It is clear, concise, and well organized. The concepts are outstanding and will surely be adopted as the new way to optimize performance in any company. I highly recommend this book to anyone who plans on running a successful company in the 21st century. Will Kaydos did actually a very good work. This book addresses to top management officers who wish to change to a more customer orientated approach and implement Performance Measurement in every aspect of their business. Well structured and easy to read with significant information on effective management. 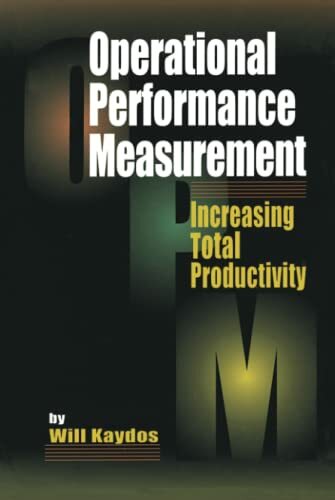 There are no equations or weird stuff in this book, because the author wishes to explain the core of this subject: how to implement performance measurement everywhere. This is a great book for industrial engineers, CEO's, Sales Managers, HR managers, Quality assurance officers and anyone involving with performance. This is one of a handful of books on performance metrics I recommend to peers and clients. The author starts with one of the most cogent set of reasons for measuring performance that I've read. These reasons are compelling, reinforced with realistic examples, and clearly articulated. He then briefly discusses the art and science of measurement, and associated standards, techniques and methods. I especially liked his "Measuring the Unmeasurable" advice, which knocks down mental barriers and shows how you can, indeed, measure indicators that you may think are unmeasurable. The approach he sets out is systematic and encompasses performance measurement in not only manufacturing, but in services and sales. In fact, Appendix C, "Implementing a Formal Selling Process", shows just how wide the scope of this book is. I've worked in technical pre-sales support and was thoroughly impressed with his approach. Among the aspects of this book I especially like are the techniques he explains, the way you are lead through the development of an effective measurement system by identifying what to measure, implementing the system, analysis and interpretation, and actionable use of performance measures. Moreover, the way the author knits together a system based on multiple perspectives, taking into account strategic, customer, departmental and company-wide views is insightful. I also like the chapter on ensuring measures are showing an accurate picture, and the benchmarking information in Appendix A, "What Some Leading Companies are Measuring". 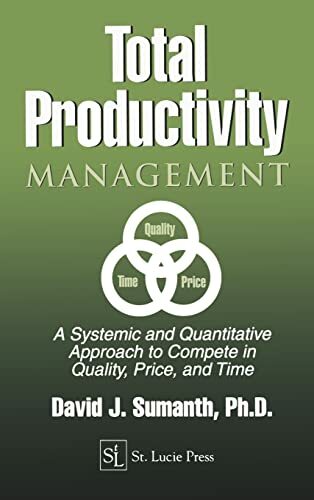 In my opinion this is a "must-have" book for anyone involved in operations, process improvement, or who has P&L responsibilities and wants to manage by fact - the right facts. The book features procedures for identifying what to measure and specific steps readers can take to determine what to measure. It's a useful guide for figuring out what to measure for a specific organizational need, but requires some knowledge of measurement terminology. While I found it a useful guide as a performance and scorecard consultant, some of my clients found it a bit daunting. Good models and examples throughout. A "must read" for those committed to business improvement. A terrific business improvement reference applicable to a wide range of business and their operations. Consultants and managers will especially value Kaydos' insights into the role of metrics in supporting culture change. The case studies are well chosen with clearly presented implementation examples and informative detail. "Operational Performance Measurement" is a must read if you are committed to improving your business or the business of your clients. Full of valuable tips, techniques, illustrative realworld examples, exhibits, and best practices, this handy and concise paperback will help you stay up to date on the newest thinking, strategies, developments, and technologies in balanced scorecard. "This book provides the executive with a balanced view of the motivation, leadership, process, and technology required to enable Balanced Scorecard.Filled with examples and insights, it is a mustread." "Balanced Scorecard can be a challenge to implement, especially in small companies.This book has mastered the art of communicating how to do it successfully in both small and large businesses as well as in government.Rich with contentyet simple to read, understand, and, most importantly, implementthis book makes Balanced Scorecard understandable and relevant to creating success." 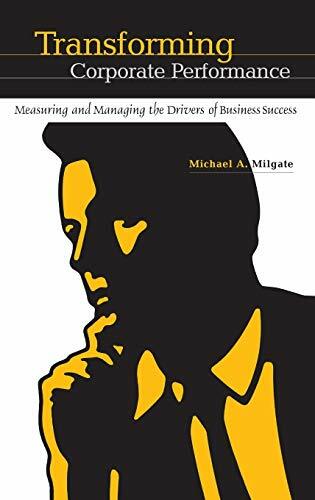 I've read a number of BSC books, from Kaplan & Norton's original classic, to later works, and this is one of the very few that goes into practical implementation and management of a balanced scorecard. 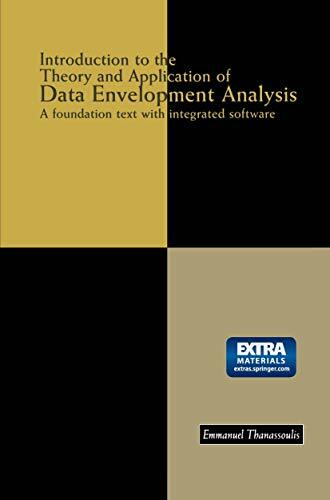 What makes this book better than the others I've read is the way the author points out the pitfalls as well as the advantages of implementing and using this tool. He is objective and, more importantly, experienced, which is evidenced by how he places the BSC in context. This context is shown in the gap he uncovers between strategic themes, mission/vision/values, competencies, and purpose, and initiatives, objectives, measures and targets. The BSC fills that gap - if properly done and all of the key factors are understood. 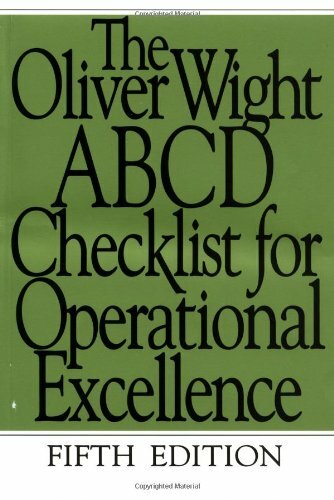 I liked the way this book uncovers subtle key factors, such as the differences between strategy and operational effectiveness (often mistakenly viewed as the same thing), and what you should and should not be measuring. I also liked the way strategic themes were defined as a concept, as well as the use of tool called a paradox map to verify the alignment of tasks to strategy. The bulk (and value) of this book is the implementation plan, which is governed by six critical success factors necessary to implement a BSC. It is here that the book shines because the implementation is laid out as a project (in fact, one of the six CSFs is to treat the implementation as a project), and is achievable with no non-value added steps. 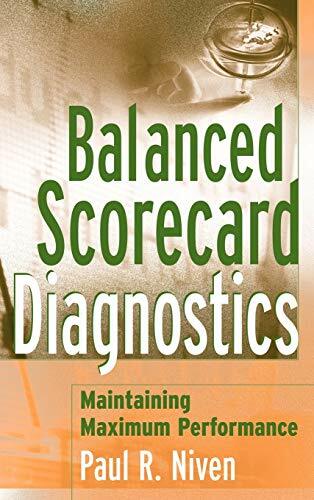 Presenting the next step for balanced scorecard implementation, Balanced Scorecard Diagnostics provides a step-by-step methodology for analyzing the effectiveness of a company's balanced scorecard and the tools to reevaluate balanced scorecard measures to drive maximum performance. CEOs, CFOs, CIOs, vice presidents, department managers, and business consultants will find all the essential tools for analyzing a balanced scorecard methodology to determine if it's running at maximum performance and for seamlessly implementing changes into the scorecard. I worked at Intel for over 5 years, and although this book is chock full of excellent strategies and advice for managers, I saw very little evidence that these principles were being put into use in the company during the entire time I was there, at least in my division, which was one of the bigger ones at the company. I will say, however, that Intel is a very odd place to work with its own unique corporate culture, some of which I would say is quite functional, but a lot of it isn't; or at least, the principles they say do work really don't, because nobody has the nerve to apply them. A good example of this is their principle of "risk-taking." This gets talked about more than most of the Intel cultural values. The reason is simple, although they say that it's okay to take risks, and that you won't be penalized if you fail, the reality is that no-one in their right mind ever does it if they don't have to. And it's not because your manager will give you a [rear-end]-reaming like you've never had before if your calculated risk fails and becomes a total disaster. That won't happen, because, as I said, they really do take this risk-taking principle seriously. Your boss may even commend you for having the cojones to take the risk even if your little project becomes a spectacular failure. The problem is in a much more serious area, unfortunately. If you fail, you'll get penalized through your performance review. (And if you're an exempt employee, all it takes is two below average performance reviews and you can be fired. They don't even have to be really poor reviews). Suppose you spend 6 months working on a risky project that fails. Now it's review time. Because you wasted so much time on this other project, you won't have very many other successful projects to brag about, compared to all the other employees who didn't have the cojones like you did to take a chance, but who now have lesser but at least successful projects they can ballyhoo during "ranking and rating," (or "ranting and raving," as it's called). Hence, you won't be able to compete in Intel's intensive and truly byzantine performance-review process, which insures that people pick safer but less potentially beneficial projects that they know they can pull off and bring in under the wire by review time. Another very odd thing about working there is that teamwork is valued almost over and above technical competence and originality. In fact, I would have to say Intel employees are about the most docile, uncomplaining, non-individualistic, and basically whipped employees I've ever seen. Someone should tell these guys it's okay to have a spine or a ... once in a while, instead of going through their work-life as a totally whipped, spineless eclair. Quite frankly, I'm not the most studly, macho guy in the world, myself, but these guys make me look like Brad Pitt, George Clooney, and Arnold Schwarzenegger all rolled into one. 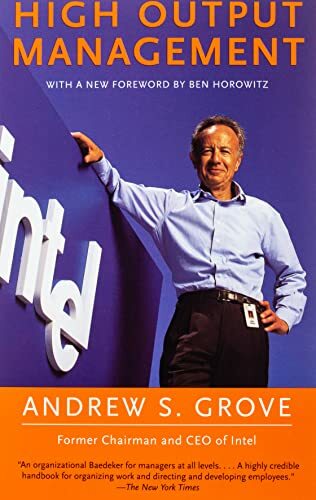 Anyway, whether the principles and strategies in this book are actually being put into practice or not, Andy Grove is certainly a brilliant manager, and Intel is a more than unusually interesting place to work. Perhaps the strategies in this book work because Intel's people work very hard at implementing them, not because they are inherently better than other ideas. When I first started at Intel one of the things I noticed right off was how old Intel employees looked for their age (at least the ones that had been there for 7-10 years or more) compared to the other companies I had worked at over the years. I noticed women only in their early 30's who had worked there since their early 20's, for whom the rosy bloom of youth had long since departed from their cheeks. The men also looked older. I am not especially young-looking for my age, but I frequently get comments from Intel employees about how young I look for my age. Maybe that's because I haven't been here that long. Outside of Intel I rarely get comments like this. I may not look that young to most people for my age, but at least I don't look older than my age. On an even more sobering note, health researchers have found that people who look old for their age actually have shorter life expectancies, and correspondingly, people who look young for their age have longer life expectancies. I suspect that Intel's workaholic employees are the main reason for its success, but I wonder if they themselves understand the toll this success has exacted from them. Management - Straight from the horses mouth! This was a good summary for busy managers. It covers the major ideas in a quick to read format. The services industrieswhich include jobs ranging from flipping hamburgers to providing investment advicecan no longer be characterized, as they have in the past, as a stagnant sector marked by low productivity growth.They have emerged as one of the most dynamic and innovative segments of the U.S. economy, now accounting for more than three-quarters of gross domestic product.During the 1990s, 19 million additional jobs were created in this sector, while growth was stagnant in the goods-producing sector. 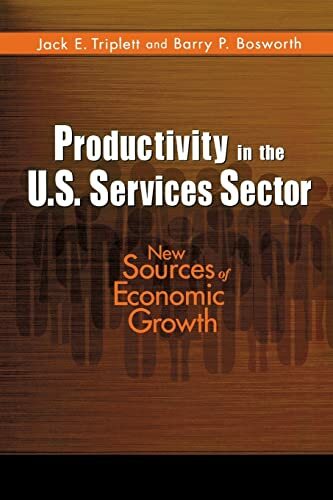 Here, Jack Triplett and Barry Bosworth analyze services sector productivity, demonstrating that fundamental changes have taken place in this sector of the U.S. economy.They show that growth in the services industries fueled the post-1995 expansion in the U.S. productivity and assess the role of information technology in transforming and accelerating services productivity.In addition to their findings for the services sector as a whole, they include separate chapters for a diverse range of industries within the sector, including transportation and communications, wholesale and retail trade, and finance and insurance.